Posted on May 9, 2016 Posted in Doughnuts	. 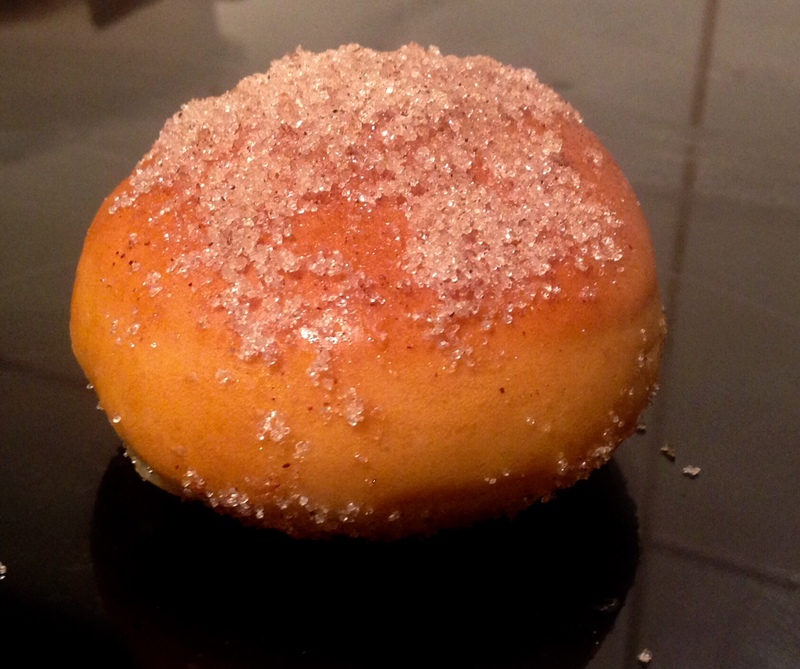 This little dumpling/doughnut treat was sparked after some recent experimenting with varying jam filled round doughnuts. 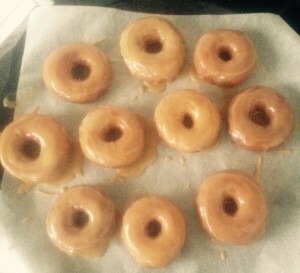 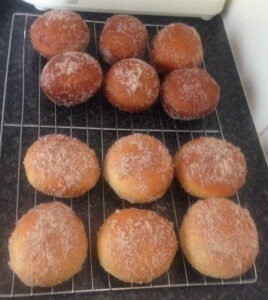 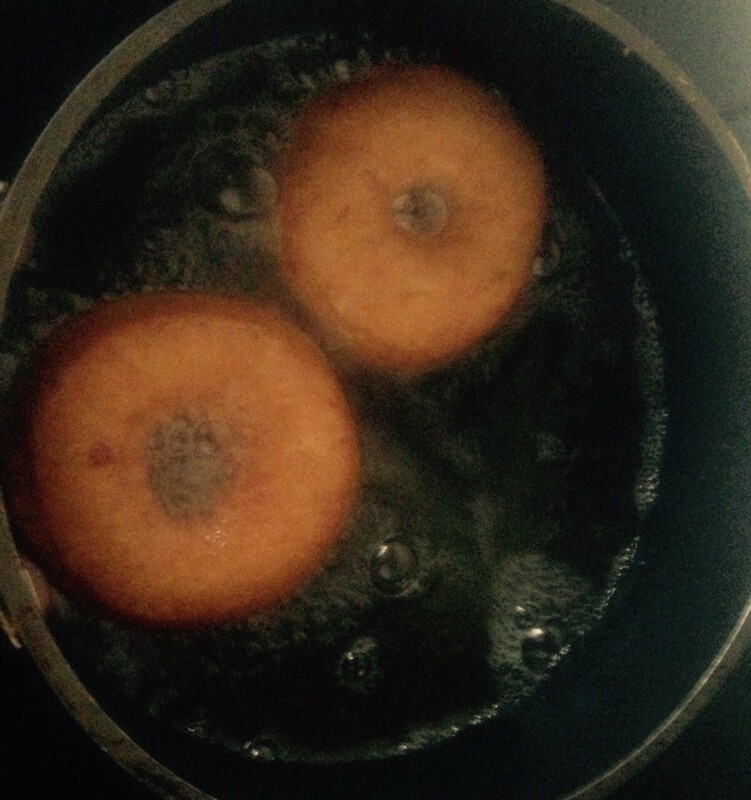 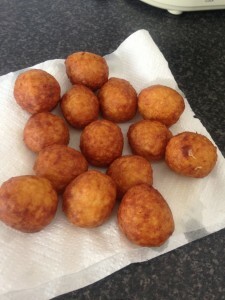 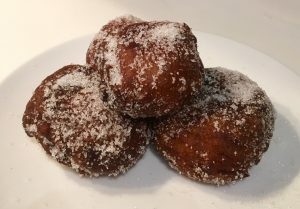 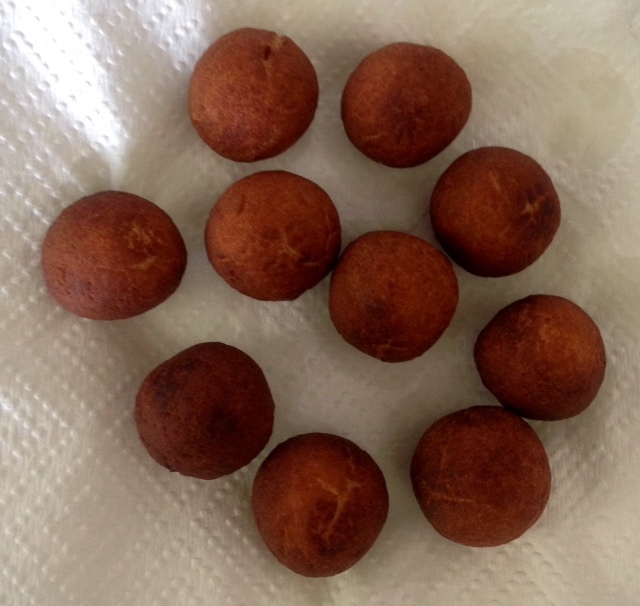 I don’t really know what they are traditionally called or where they come from but they are amazing little doughnuts that massively over-exceeded my expectations and were so easy to make! 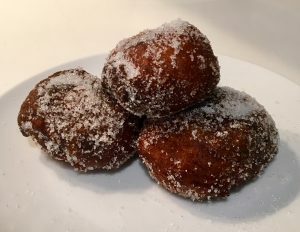 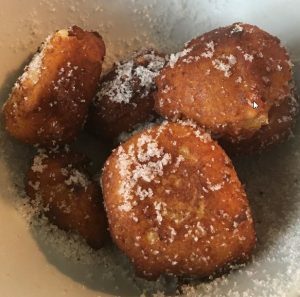 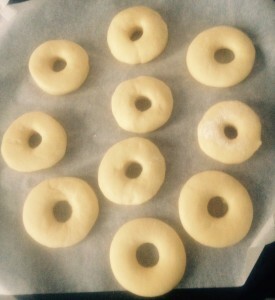 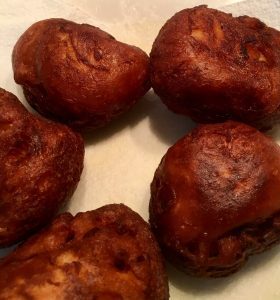 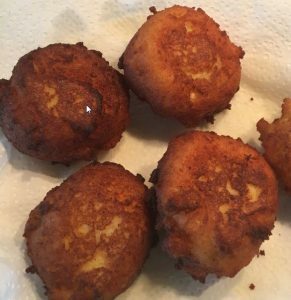 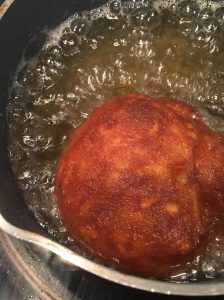 They are kind of a mix of a doughnut, a Saudi Arabia Luqaima, an Asian Jao Tze, an Arabic Ma’Amoul and a Greek loukoumades…this treat will delight. 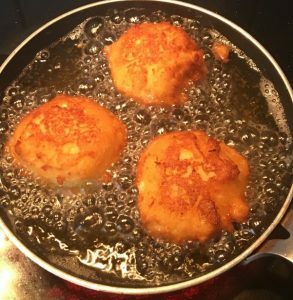 The addition of the cream cheese makes the texture creamy and the star anise in the syrup makes it so good you want to eat it by itself! 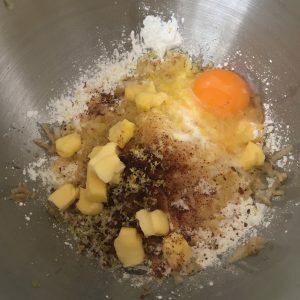 Place 335g of water, the sugar, cinnamon, cardamom and star anise into a saucepan on the stove on high and stir until the mix boils. 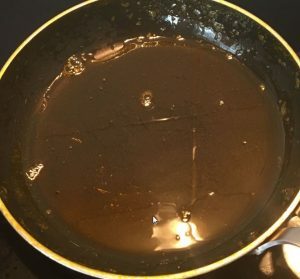 Leave the syrup for 6 minutes to thicken. 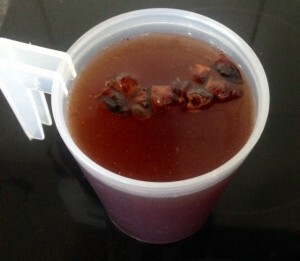 Take the syrup off the heat, stir in the rosewater essence and leave aside to cool. 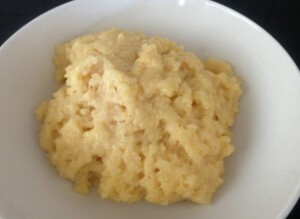 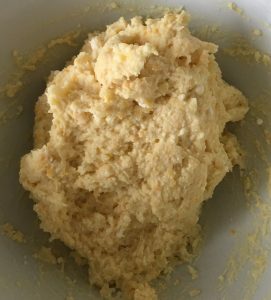 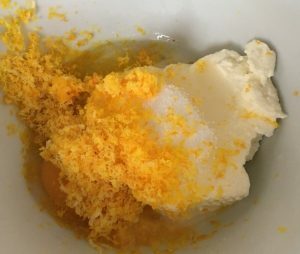 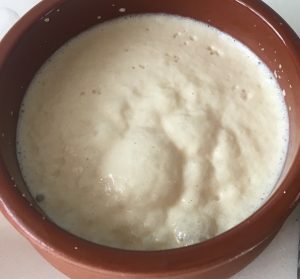 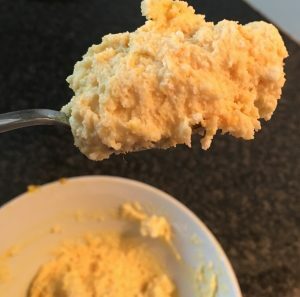 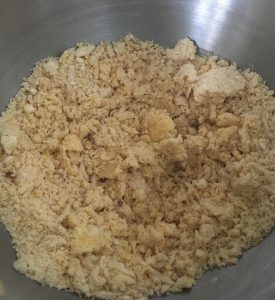 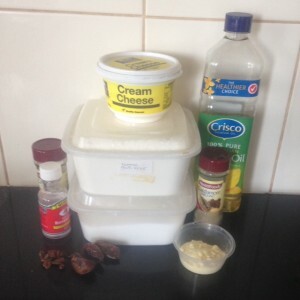 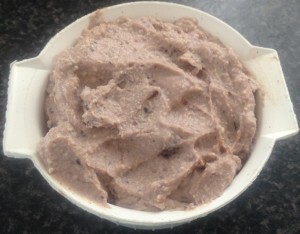 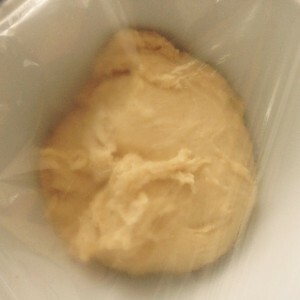 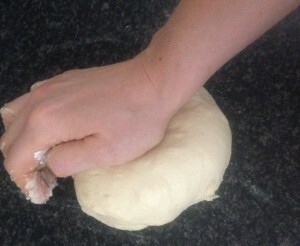 In a bowl place the flour, milk powder and cheese and with your hands combine until a dough has formed. 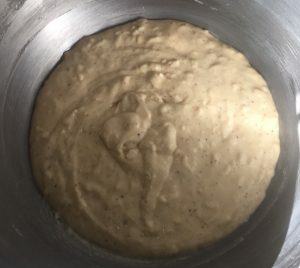 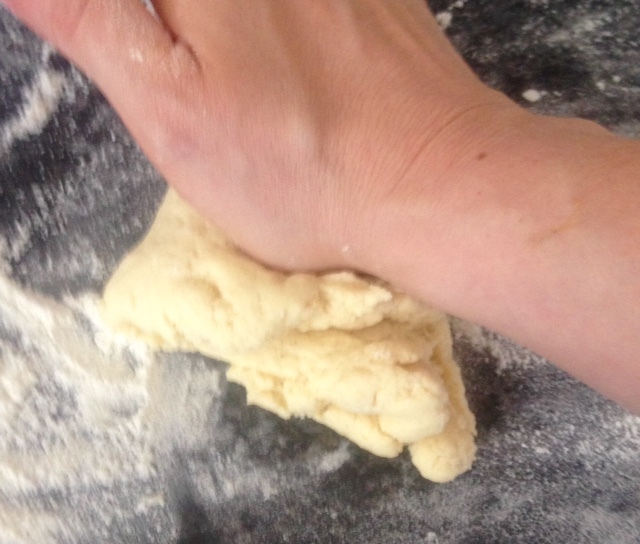 On a lightly floured surface kneed the dough for 5 minutes. 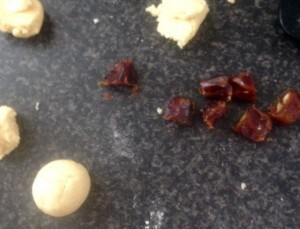 Cut the dates in half vertically. 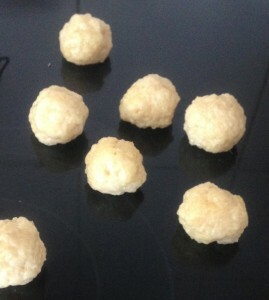 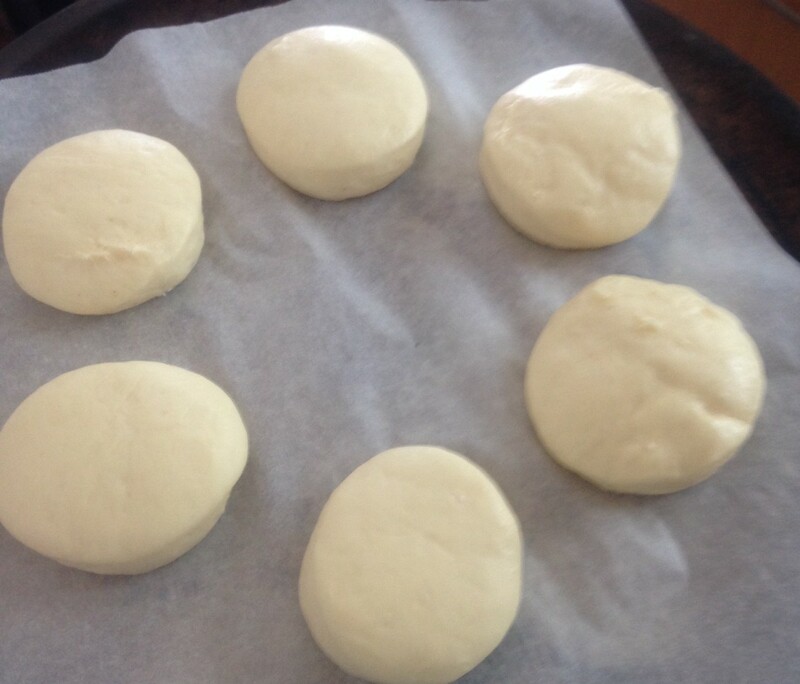 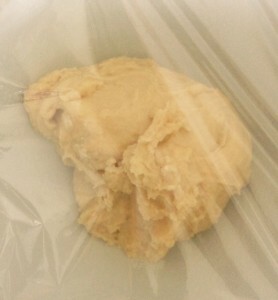 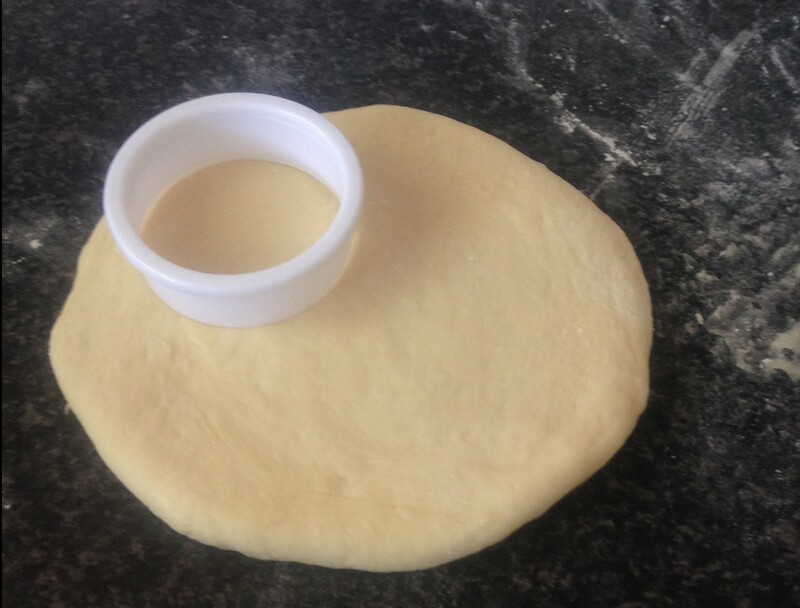 Roll 12-13g pieces of dough into balls, flatten and then place the date half in the center. 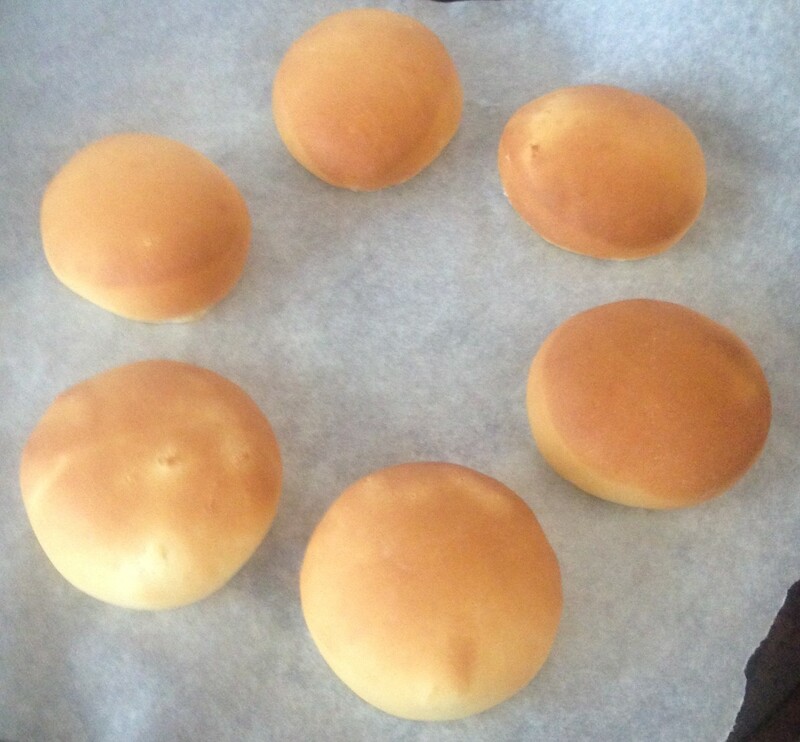 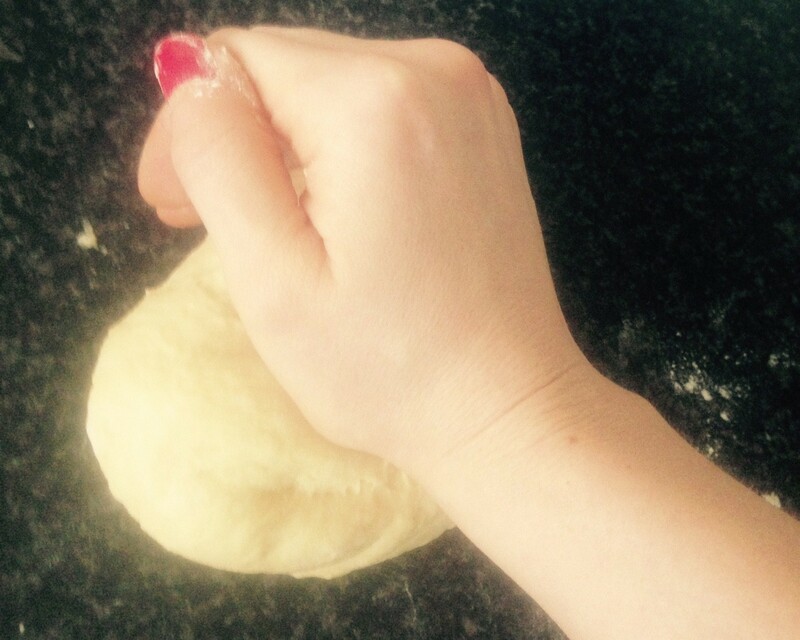 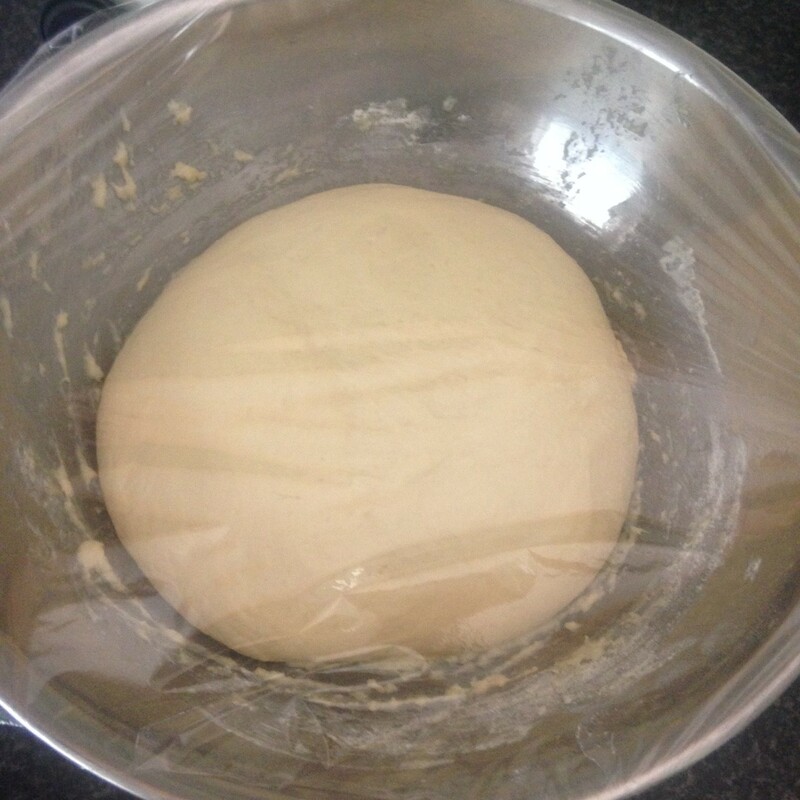 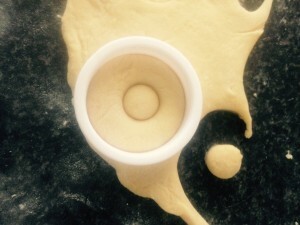 Roll again into a ball to ensure the date is fully embedded in the dough. 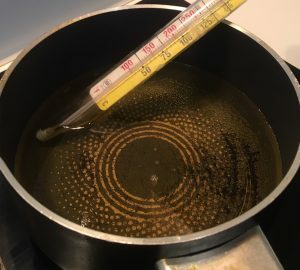 Heat the oil in a saucepan to 180c degrees or until a piece of bread sizzles in the oil. 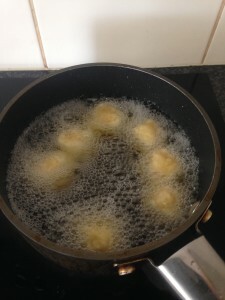 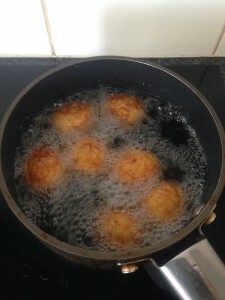 Cook the dumplings in batches for around 2 minutes or until they are golden brown. 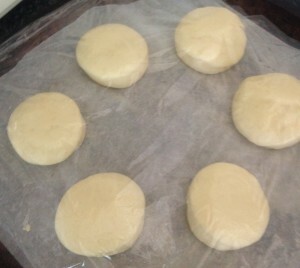 Place on paper towel to drain then add to the syrup. 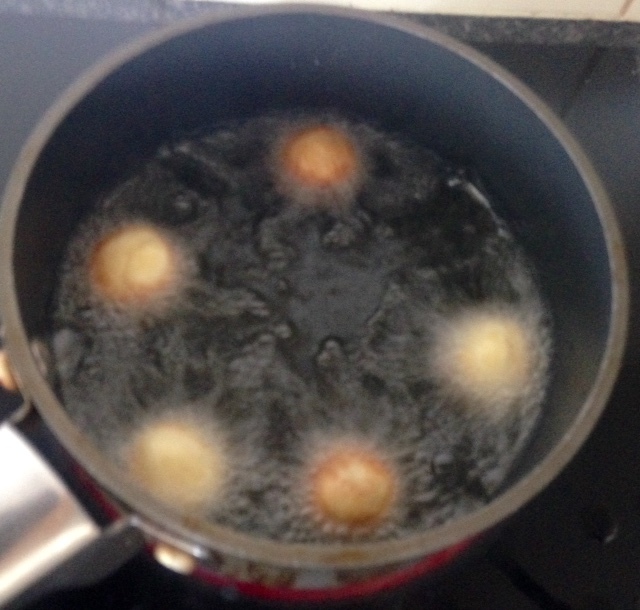 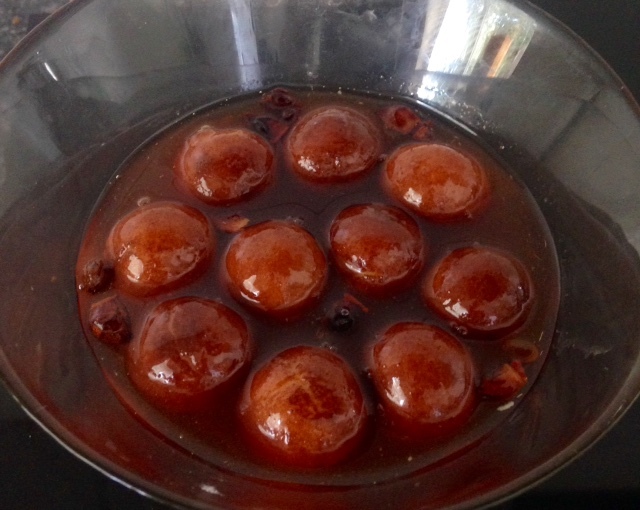 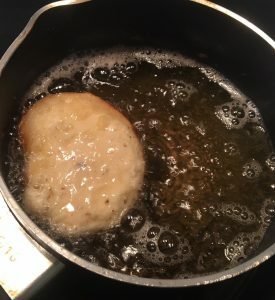 Allow the dumpling to be fully submerged in the syrup for at least an hour before serving. 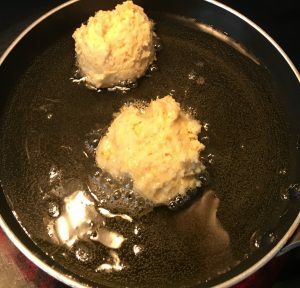 Serve dumpling with the remaining syrup. If you don’t like dates you can use dried prunes instead. 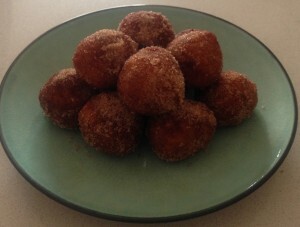 This treat goes well with a side of vanilla ice-cream. 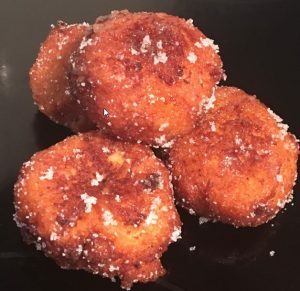 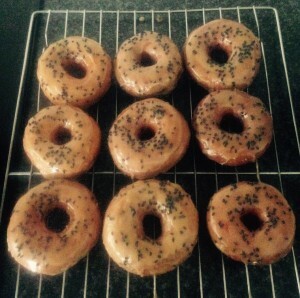 Tags: Date Spiced Syrup Doughnuts	.